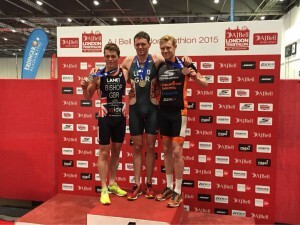 Super Sprints, Para Tri and Gibbs Hill NZ and podiums. Apparently Super Sprints are the future! Or New Zealand? ‘Here it is…this weekend’s news! Allerthorpe (in the words of Chris Brown): ‘Despite the poor forecast during the week, it turned out to be a lovely day. Water temperature a balmy 20-degrees. This smash-fest nearly turned to disaster, though, when the marshal at the run turn-point, having just one simple job to do, failed to do it. Mika (leading) and the William Atkinson (second) were told to go on to the next junction. When I arrived, I was told the same. With my distaste for running, I know exactly how far I’ve gone, and knew that was the turn around. Nevertheless bashed on in an ever darker mind set. One minute later the chief marshal is driving towards me indicating to go back! So I turned and legged it towards the lake, trying not to spit feathers as I see the guy in fourth closing on me and now having just ‘gained’ 400m on me out of the blue. Mika reeled me in on the last half click, but William didn’t, so I stopped one metre short of the line to wait and let him claim his proper position – I’d done an extra 400m but they’d gone more like 1km. You should have heard the cacophony of people shouting to me that I hadn’t crossed the line and seen the incomprehension when I told them, “I know!”. Mind you, if Mr Fourth Place had shown his face, I’d have been over in a shot! Chocs away! 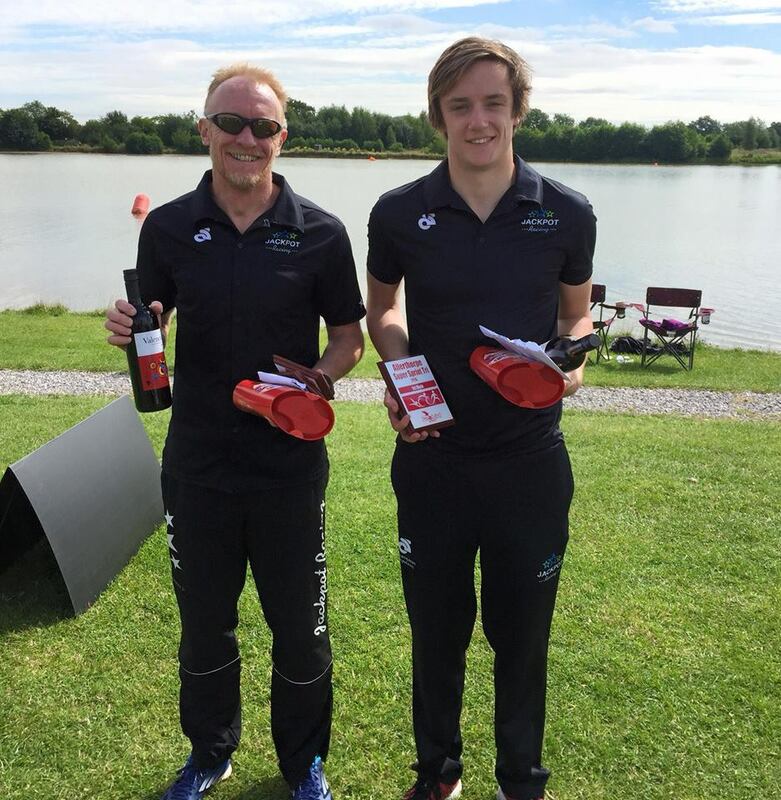 Chris and Mika podium at Allerthorpe. 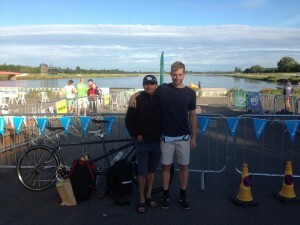 Down at Eton Dorney, Andrew Whiteley raced at the Para Tri as the guide for the infamous Haseeb Ahmad in the elite section of the race. The event is the first of it’s kind with mass non able athletes participating in different races and distances. Andrew and Haseeb WON! 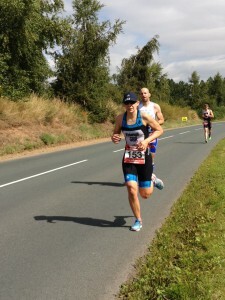 The race will be shown on Channel 4 in September…we will keep you posted on when! Haseeb and Andrew at the Para Tri event at Eton Dorney..with a WIN! ‘I was fortunate enough to gain one of only 70 entries to The Gibbs Hill Challenge (due to damage on the course), a 23km cycle followed by 21km off-road run and ending with a 23km cycle back to the start. The run was held around the Abel-Tasman national park. And boy did it deliver! Unfortunately only 59 turned up which spoilt a fantastic day for those on the waiting list! In the last few days the weather has been extremely poor winter finally seems to have arrived here in NZ after a very warm July! The preceding days saw hail, gales, rain, thunder and snow! And on Friday this happened on/off all day! Stark contrast this morning was glorious not a cloud in the sky, but with the temperature change over the last few days this meant a heavy frost! So required caution when cycling around the windy coast line! The roads in the Golden bay are lovely though there storm drain placements are questionable, one such caused my water bottle to go over board 4km into the race! This meant having water at the two aid stations along the magnificent run. Being a national park I didn’t want to leave rubbish so in my cool down I found it again. NZ like to make things different as well as the alternative order of racing the last 3km of the bike was along unsealed surface which made for a fun choice of paths when bunch cycling! I was in the second pack of cyclists there were some pure cyclists sharing the race (for part of the team event). It was only the technical bends (as well as the hesitancy of not knowing the road, ice and grit!) that kept me behind the first group otherwise on the flats and hills (up hill) I was with the first group. Again NZ like to do things differently transition was the normal car park at the end of the dirt road, as I had no support the organisers took my shoes to change into. After resting my bike in a bush I collected my shoes from the organisers car and set about the run! As soon as I hit the run I was in my element these trails are so well established here and this trail had less awkward stones than the Routeburn or Milford tracks so it was kinder on my feet! The run wound round the hill side tempting you with beautiful views and when trees cleared it was breath taking blue skies and seas! Not to mention encompassing a couple deserted golden beaches! I quickly caught everyone up bar one individual who was 10 minutes ahead at the second check point and 8 minutes at the third and final check point on the run. 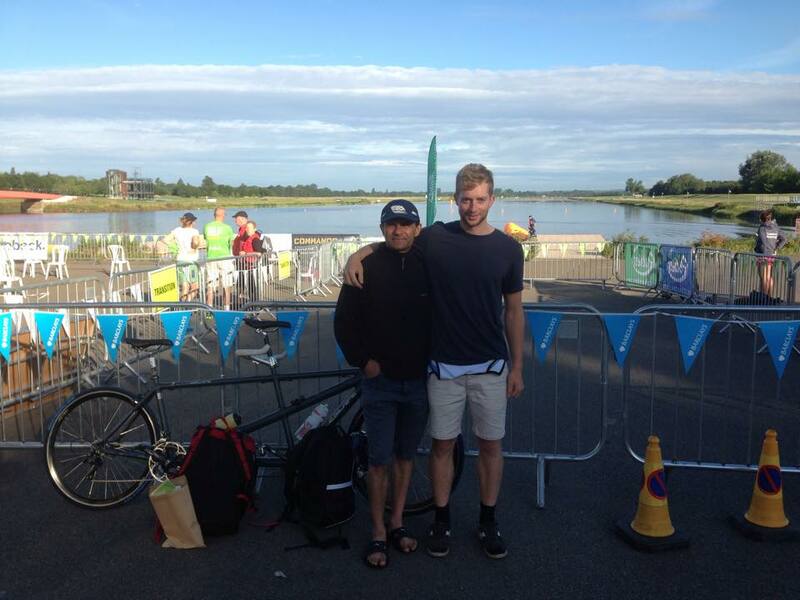 Kieran finished 30th overall and 20th in his age group and went sub 2 hours in a time of 1:58:13 – tremendous going chaps!